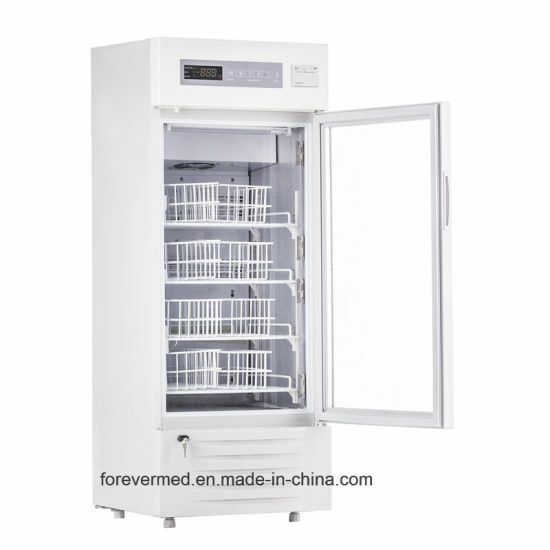 Blood Bank Refrigerator, Pharmacy Refrigerator, Blood Refrigerator manufacturer / supplier in China, offering Hospital Used Bbr Blood Bank Refrigerator Pharmacy Freezer, ICU Medical Equipment Multifunctional Anesthesia Machine, Medical Inatrument Orthodontic Products Portable Dental Xray Equipment and so on. 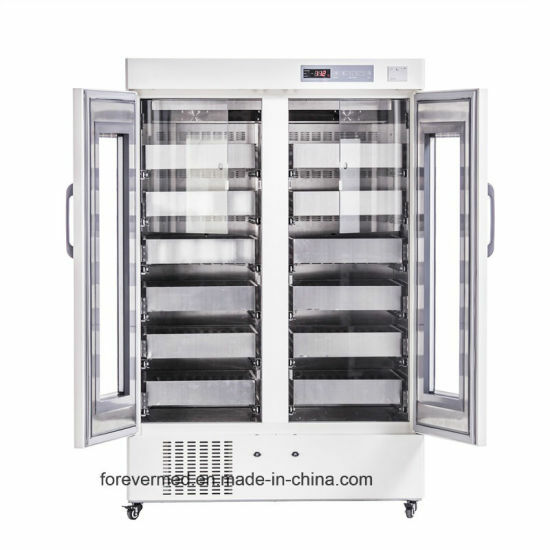 Ensure temperature fast recover and stability by intelligent controlled fan forced air cooling system,air cooled chiller finned evaporator with unique circulation system design to ensure frost-free cooler environment,double-layer vacuum electric heating glass door,ensure the door will not get condensation under high temperature and high humidity environment. 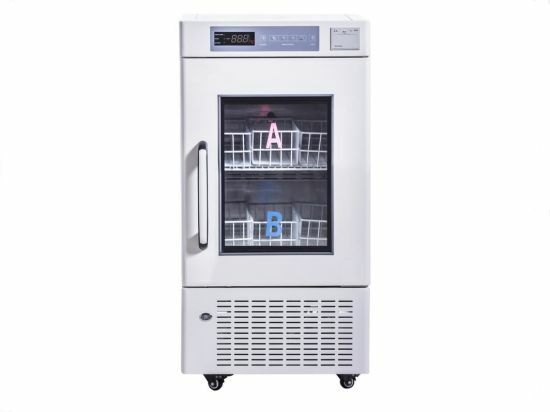 Excellent refrigeration layout,inside temeprature is 4±1ºC. Standard thermal printer can track temperature inside all the way. ALarms:High/Low temperature alarms,power failure alarm for 72 hours,sensor failure alarm,door ajar alarm,condenser abnormal alarm,low battery alarm. Equipd baskets for blood bags. Lighs inside make everything clear. 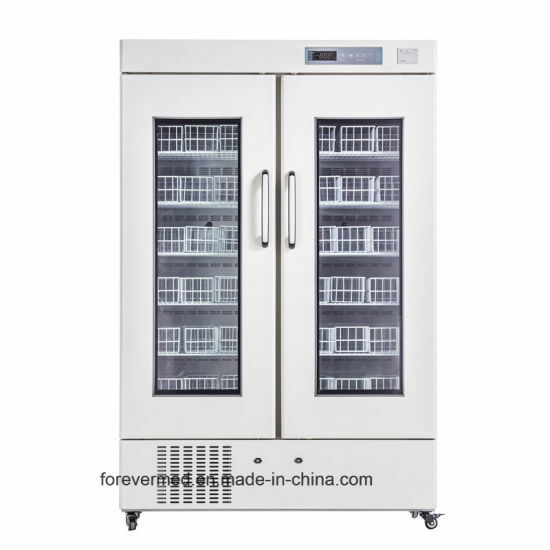 Foam glass door design,independent inner doors, self-closed doors ensure perfect insulation performance. 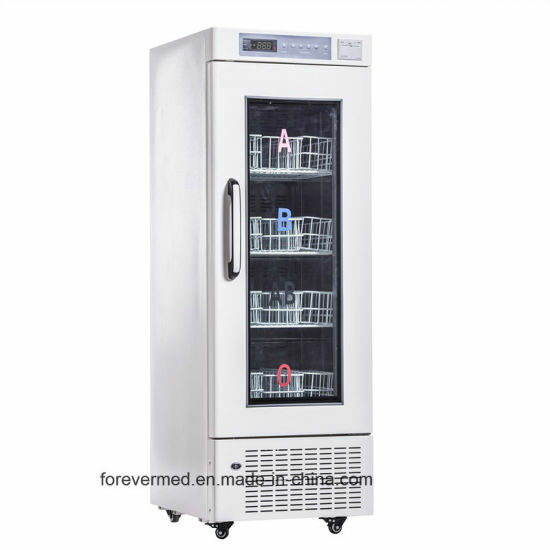 Wide voltage range from 187V~242V.